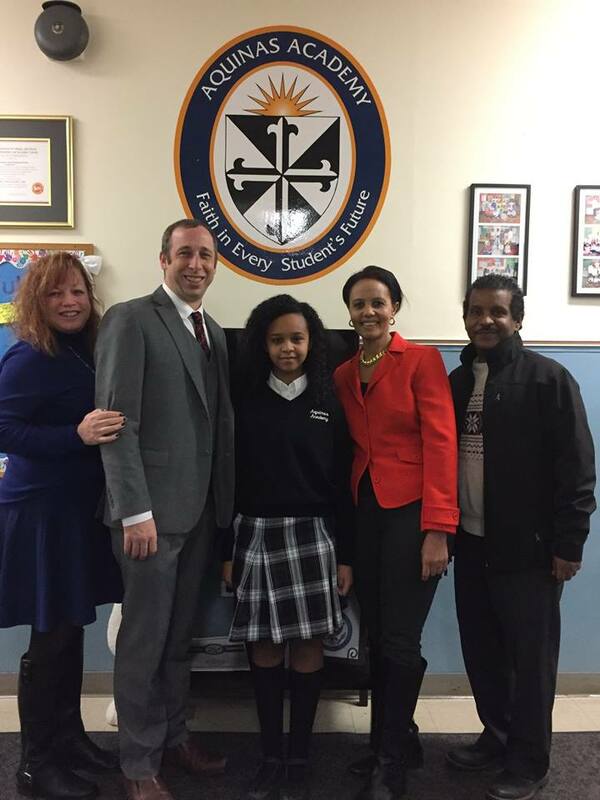 Pictured left to right: Mia Aymar-Smith, Treasurer of MAF; John Cohrs, Principal of Aquinas Academy; Mesgana; her mom Helen; and her dad Samson. We have completed a total of five series of Workshops for middle school students. Four of them have been done in partnership with the West Orange Public Library and, over the fall, we launched them at the Montclair Public Library. The workshops have gained popularity with middle school students and parents because of our approach to sharing “practical life skills” with students so they can adopt them to become truly independent thinkers and learners. We treat them with respect and they respond beautifully. The word is spreading, so we are being contacted by other libraries to share our message with them for their own series. Let Mesgana show you what we mean . . . It is time to Celebrate again in Montclair! Our Annual Fundraising Event is coming up again. We will update you on our progress and how we are “Igniting the Sense of Wonder” in the tradition of Master teachers to unleash the potential in middle school students. The event will be held at the Van Vleck House and Gardens in Montclair again as so many of you gave us terrific feedback on our last event. Our speakers will share our accomplishments and inspire you. There will be great food, wine, art exhibits, and an uplifting message about the power we each have to inspire middle school students and each other. Take a look at the fun we had last year! Click here to subscribe and stay connected! Developments in Our Board . . .
Our first year’s achievements have given all of us a sense of what is possible with our Mission. 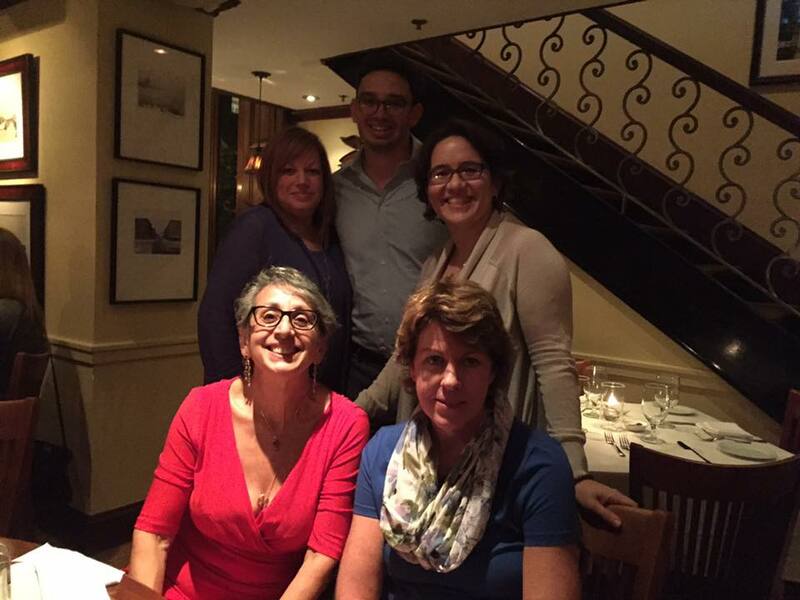 We are attracting educators who align with the passion and values that inspired so many students taught by Mr. Aymar. We are thrilled to add two new members to our Board to help us solidify our very unique focus on helping middle schoolers to become critical thinkers and independent learners. Lauren Mazzari was a friend and colleage of Michael Aymar for many years and both shared a great love of literature, Shakespeare, teaching, and children. Angela Leon came to our first workshop and realized that her skills and values as an educator were perfect to add to the magic of what we were sharing with students. She is an intricate part of our Workshop program as we expand into other public libraries. We have also created an Advisory Board that includes Mr. Aymar’s students. Their stories will deliver the true impact of his teachings to the students we are trying to reach. Donate When You Shop Online! AmazonSmile is a website operated by Amazon with the same products, prices, and shopping features as Amazon.com. The difference is that when you shop on AmazonSmile, the AmazonSmile Foundation will donate 0.5% of the purchase price of eligible products to the charitable organization of your choice. The Michael Aymar Foundation is among the groups listed. On your first visit to AmazonSmile, you will be prompted to select a charitable organization to receive donations from eligible purchases before you begin shopping. The website remembers your selection, and then every eligible purchase you make on AmazonSmile will result in a donation. All items available for purchase on www.amazon.com are also available on AmazonSmile (smile.amazon.com) at the same price. You will see eligible products marked “Eligible for AmazonSmile donation” on the product detail pages. Though each purchase represents a small amount, the donations add up and help us reach our goals to help middle school students in their education. Please consider making all your Amazon purchases through AmazonSmile. On Sundays, October 1st to November 5th at 4PM, we will be running the "Learners United: Tutoring Workshops” at the Montclair Public Library. To learn more, please click here. On Saturdays, October 14th to November 11th at 3PM, we will be running our "Raise the Grade: Life Skills for Middle School Students" workshops at the West Orange Public Library. To register, please click here. 125 of our supporters attended our meaningful celebration of our First Annual Fundraising event and our first year's accomplishment. We had 20 students of all ages volunteering with every aspect of the event, from hosting, to speaking, to sharing memories. Teachers who attended said they could feel the love everywhere. Authors Tim McLoughlin and Dr. Fernando Espinoza shared stories about Mr. Aymar’s insatiable curiosity and his passion for the language and learning. Mr. Aymar’s impact was themed all over from book centerpieces to the literary artwork for sale. We delivered on our promise for Stories, Memories and Laughter. Incredibly grateful to our supporters. At our April 30th event, we unveiled a video made by Carlos Neira - a 4th grade student back in 1996 - who is today a videographer. At our launch event in April 2016, these students sat down and shared their heartfelt thoughts of appreciation. Our Foundation intends to share his life lessons with Middle School Students to continue the impact that great teachers have in our lives. ​Our Mission is to continue to help Middle Schoolers with all the lessons that Mr. Aymar provided his students over 22 years. The workshops have proven to be a perfect venue for us to connect his passion, kindness and humor to empower students to have more independent learning habits. We have completed two series of Free Workshops in Partnership with the West Orange Public Library. We are grateful to Tami Evans, a wonderful parent, who captured our last workshop where we handed Certificates of Ambassador to each participating student. We have recently completed our second series of workshops in partnership with the West Orange Public Library. Our record attendance day, we had 21 middle school students accompanied by their parents. Students had the opportunity to listen to guest speakers, most of them educators, cover topics such as public speaking, learning styles, comfort zones, time management, and tips and tools for independent learning. They learned the ways to relieve test taking stress, and were always encouraged to share their “ take-aways,” the pieces of information they found to be most helpful. We had past students of Mr. Aymar share their stories in person and via video, recounting the value in the life lessons he taught them. The Summer workshop series, which pick up mid-July, will concentrate on public speaking skills, as requested by the students. We are now only one month away from our first annual fundraising event. From the early planning stages to the fulfillment of our mission statement, this will be our opportunity to share how our foundation has grown. We encourage you to share the invitation with your contacts, as this event promises to be a beautiful celebration in a most perfect venue. Keep up to date on our fundraising efforts, events, and goodwill. We promise not to send you too many emails!